Every year, I get ready for Vegan MoFo by buying a ton of stuff ahead of time. That way, I have some time to review everything, take pictures and of course, eat! I try to buy things I haven't eaten before, because it keeps things fresh and interesting. These three chocolate treats have been on my radar for awhile, but MoFo gave me a little incentive to buy them all. Vegan Chocovered Raisins from Fabulous Freefrom Factory. Talk about the holy grail! I can't tell you the last time I've had chocolate raisins, but they are as delicious as you remember. Soft, melt in your mouth chocolate, coating plump raisins. Why didn't I buy two packages? 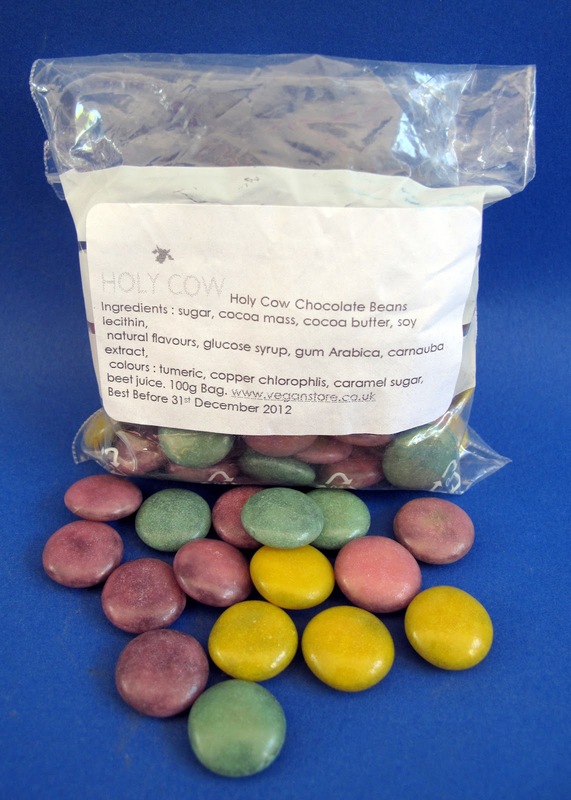 Holy Cow Vegan Dark Chocolate Beans. Miss M&M's? Well here you go! They're not as soft as M&M, but that's a minor complaint. I ate these like there was no tomorrow. Now I await the day when I can buy Vegan Reese's Pieces so I can do my E.T. impression. 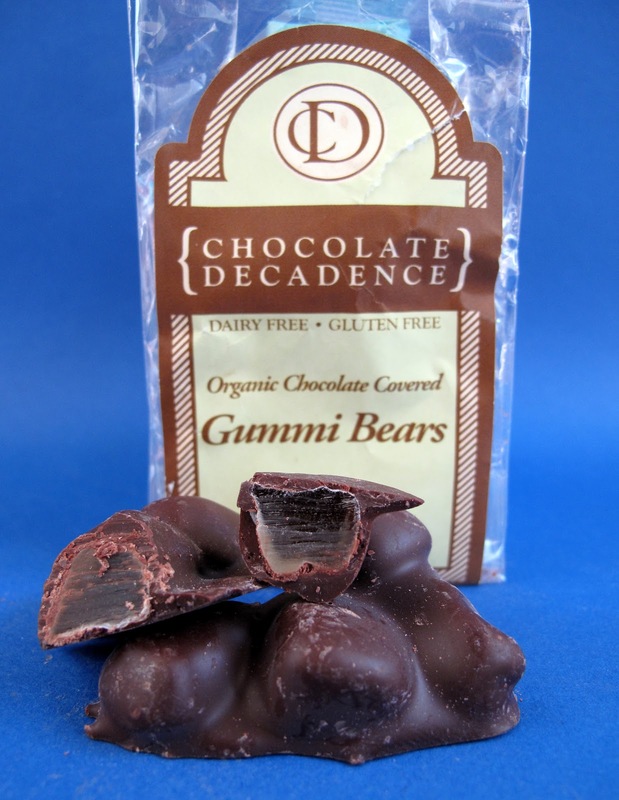 Organic Chocolate Covered Gummi Bears from Chocolate Decadence. I had no idea that chocolate covered gummi bears was a "thing." I figured it was just Vegans being crazy. But no, chocolate covered gummi bears are the rage, and thankfully we are not left out. These were great! My only complaint was that the gummi bears were stuck together and I has to break them out of the chocolate. But hey, we live in a world with Vegan gummi bears covered in chocolate, and it's great! I've never heard of chocolate covered gummies either. I'm not sure what to think though. I used to top non-vegan chocolate ice cream with gummy bears as a teen, so I think I'd like that last item. 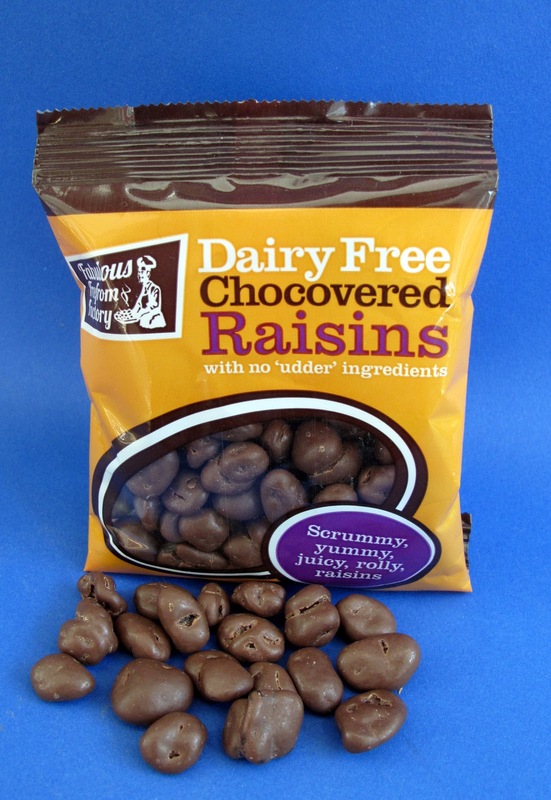 I am most impressed by the chocolate-covered raisins. mmmm it all looks so good! generally, I haven't met a vegan gummy bear that I can get excited about. but chocolate covered raisins? YES PLEASE. You really know how to do MoFo right. Oooh gummies encased in more candy. I think there should be something inside the gummy too. and then something inside that. Oh, I gave you a shoutout on my candy blog today, John. Chocolate gummy bears?! I'd never heard of them and at first I thought they sounded gross but actually I think they might be kinda awesome! I can buy the chocolate beans and the raisins in a shop around the corner from my house, I love them!